The rent at 605 Orchard Avenue Apartments ranges from $1,840 for a one bedroom to a $2,925 two bedroom. Apartments in this building are about 22% more expensive than the Jackson Triangle average. This is a pet-friendly apartment. 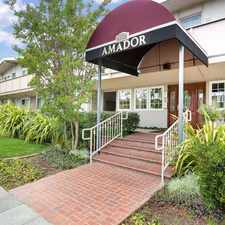 605 Orchard Avenue Apartments is a 25 minute walk from the Green Daly City and the Orange Richmond at the Hayward stop. This apartment is in the Jackson Triangle neighborhood in Hayward. Nearby parks include Spring Grove Park, Hayward Plunge and Hayward Memorial Park. 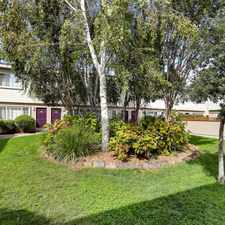 605 Orchard Avenue Apartments has a Walk Score of 49 out of 100. This location is a Car-Dependent neighborhood so most errands require a car. Winner of Property of the Year from the California Apartment Association for Southern Alameda and Contra Costa Counties, Park Orchard offers its residents an apartment living experience like no other in the East Bay. Park Orchard features well landscaped grounds centered around a beautiful lagoon filled with colorful koi fish and adorable turtles. Park Orchard's spacious apartment units have ample storage spaces, large kitchens, and private balconies or patios. Park Orchard is located close to the South Hayward BART Station and is easily accessible to I-880, I-238, I-580, and the San Mateo Bridge. The community is also within close proximity to Cal State University - East Bay, grade schools, and shopping. Stop by our leasing office today and see why our residents love living here. Explore how far you can travel by car, bus, bike and foot from 605 Orchard Avenue Apartments. 605 Orchard Avenue Apartments has some transit which means a few nearby public transportation options. Car sharing is available from RelayRides and Zipcar. 605 Orchard Avenue Apartments is in the Jackson Triangle neighborhood. Jackson Triangle is the 8th most walkable neighborhood in Hayward with a neighborhood Walk Score of 57.